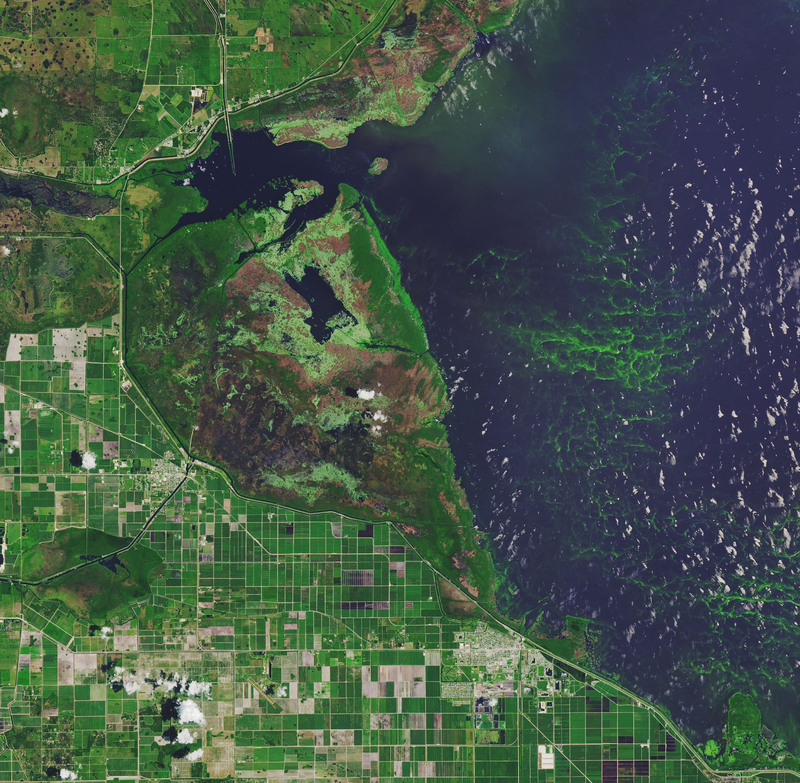 Blooms of cyanobacteria—often called “blue-green algae”—are a regular phenomenon in Florida’s Lake Okeechobee during the summertime. 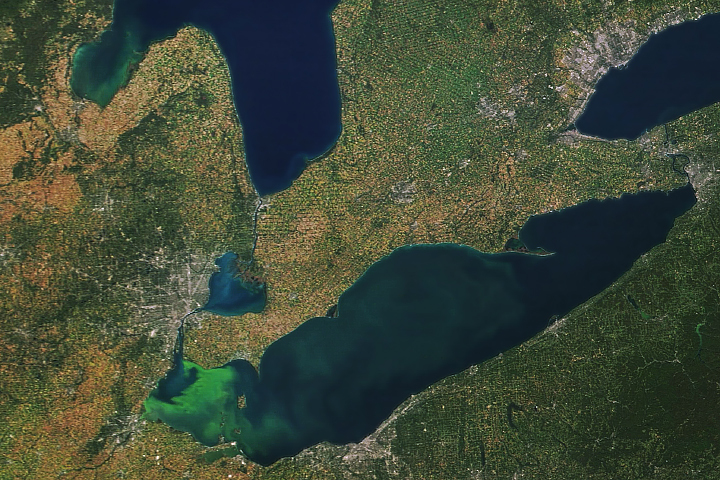 In early July 2018, blooms of the phytoplankton were detected across 90 percent of the lake. That amount decreased by the middle of the month, but some of the bloom was still visible on July 15 when the Operational Land Imager (OLI) on Landsat 8 acquired this natural-color image (top) of the southwestern portion of the lake. 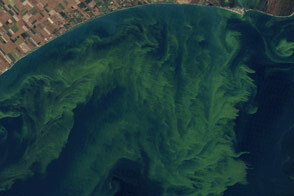 Cyanobacteria blooms also show up this time of year at higher latitudes. 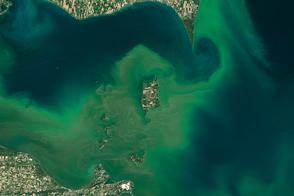 The second natural-color image shows a bloom in the western basin of Lake Erie, acquired July 4 with the OLI on Landsat 8. 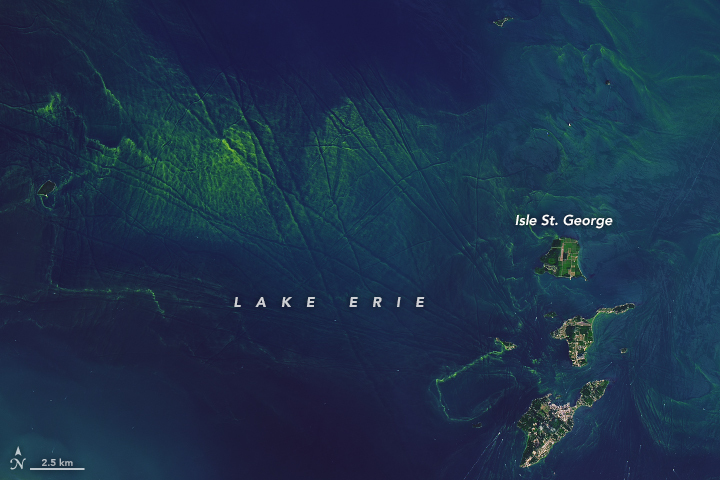 According to NOAA’s analysis of bloom conditions, the bloom on that day was visible 24 kilometers (15 miles) offshore the Michigan coast and extended east to Isle St. George (the northern island in this image). 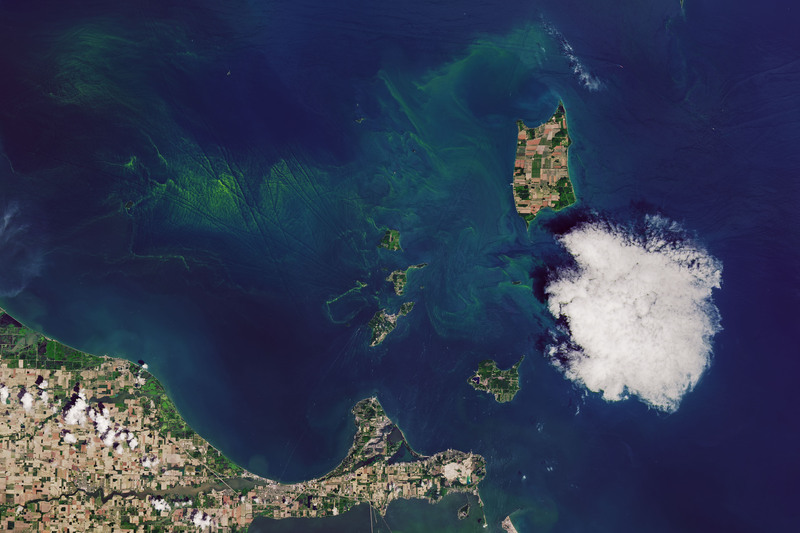 Florida Sea Grant (2018, July) The Algae Bloom is Back. But Why?. Accessed July 18, 2018. 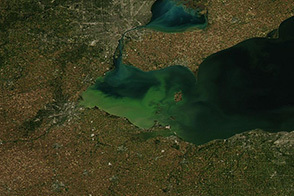 NASA Earth Observatory (2017, September 26) Bloom Persists in Lake Erie. 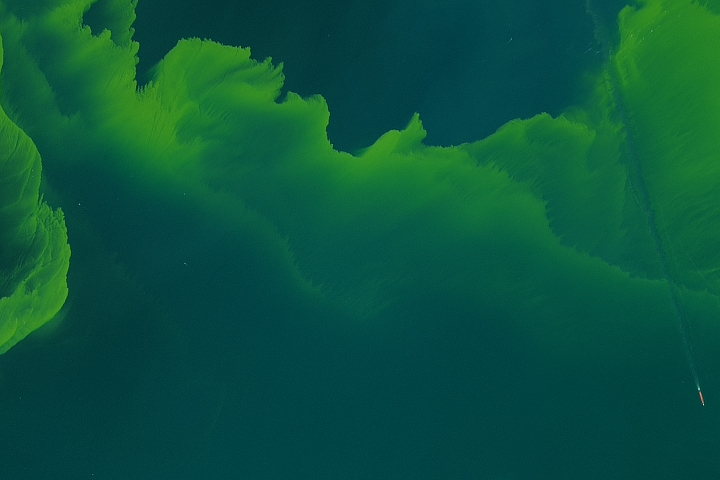 The New York Times (2018, July 9) Algae Bloom in Florida Prompts Fears About Harm to Health and Economy. Accessed July 18, 2018. NOAA Tides & Currents (2018, July) Lake Erie Harmful Algal Bloom Forecast. Accessed July 18, 2018. 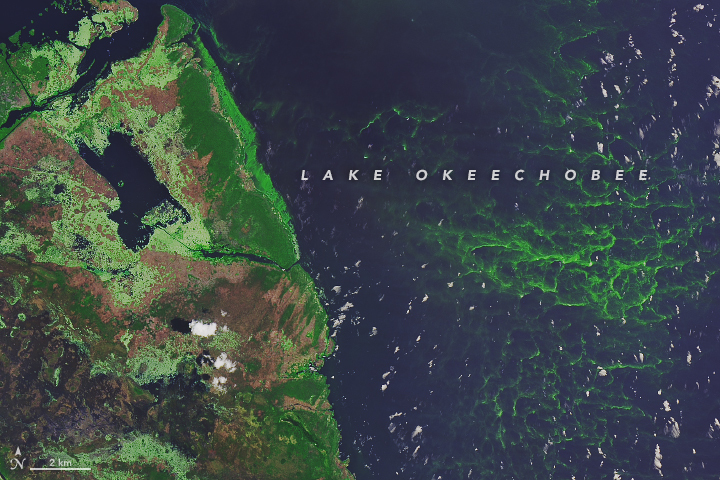 Okeechobee News (2018, July 16) NOAA imagery shows lake algal bloom decreasing. Accessed July 18, 2018.